The bag is made of tough impermeable plastic and has a patented tamper proof sealing system. 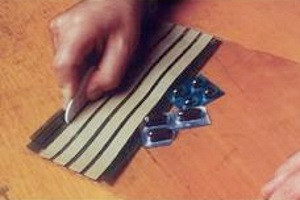 The seal incorporates a multiple sequential closure security device. 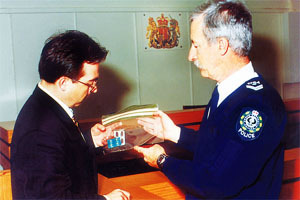 This device provides a record of openings and a chain of evidence, enabling unauthorised entry to be detected and authorised entry to be recorded. How is the Audit Bag different? How can the Audit Bag be traced? Each bag carries a unique number which is accountable and recordable making record tracing and matching easy. When should I use an Audit Bag? Whenever you are responsible for securing an exhibit or property. Items should be placed in the bag immediately after seizure, the record completed and the bag sealed. This provides the best chain of evidence or audit trail to reduce doubt of authenticity. How can Audit Bag help your budget? When you consider the costs incurred from complaints during audits, hand-overs and court challenges due to inconsistent evidence management, Audit Bag saves considerable costs by providing a track-able and reliable tamper proof sealing device. The Audit Evidence Exhibit Bag was designed in conjunction with the National Police Research Unit (NPRU) and Techsearch Inc. of SA. The following document by Mr Des Berwick, Executive Officer of the National Police Research Unit, details the development and application of the Audit Evidence Exhibit Bag. * This document outlines the original design and testing of the product in 1983. All recommendations mentioned in this document regarding additional sizes, multiple tape options and bottom pocket have since been implemented successfully and are now part of the Auditbag range.